On Wednesday, the European Space Agency’s Philae lander made history by being the first spacecraft to land on a comet. Comet 69P/Churyumov-Gerasimenko is now the seventh celestial body humans have touched. What are the others? I’m glad you asked because we’re about to run through the list. After the week the space travel industry had, we all need a happy space story right about now. This one happens to involve a private spacecraft, but not one built or launched in America. On Saturday, the first privately funded moon mission concluded a successful eight-day return trip. The mission, called 4M (Manfred Memorial Moon Mission), was developed by LuxSpace, a company from Luxembourg, and coupled with a Chinese lunar flyby mission called Chang’e 5-T1 (you might recognize the name Chang’e from the Yutu mission). 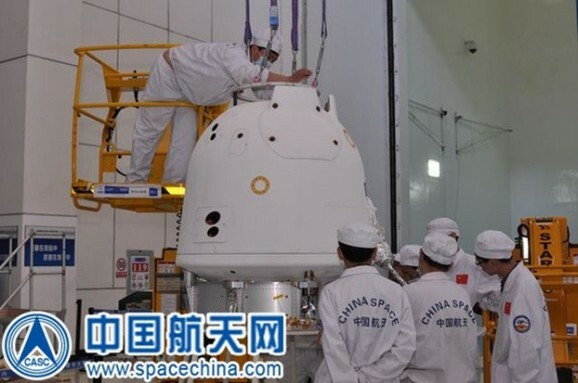 The flyby was developed to test China’s new re-entry technology, as the country is ramping up its lunar exploration program, while the 4M project was an experiment in communications and the feasibility of crowdsourcing participation. You don’t hear the phrase “scientific Disneyland” all that often, at least not in my line of work, but that is how one observer described the new close-up photos of a comet that just arrived courtesy of Europe’s Rosetta spacecraft. 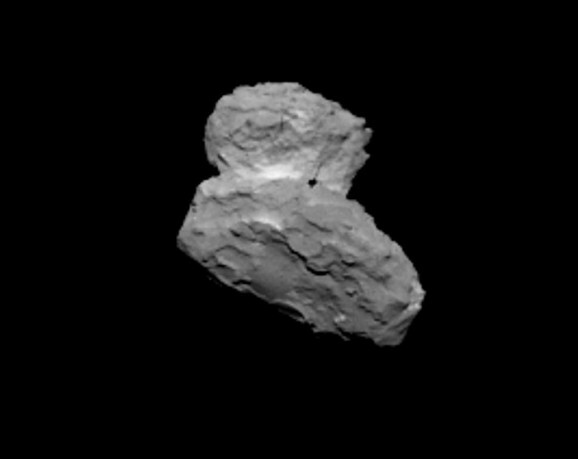 Rosetta, launched in 2004, recently arrived at Comet 67P/Churyumov-Gerasimenko, which is a mouthful—I bet his friends just call him 67P—and almost immediately started sending back incredible pictures. This is a meeting that was more than a decade in the making. Taken at a distance f roughly 81 miles away, the photos show off what scientists are calling the “neck,” “head,” “body,” and “head of the dirty snowball” of the deep space projectile, all in incredible detail. After waking up in January, the European Space Agency’s spacecraft Rosetta is nearing its holy grail: a comet with the somewhat cumbersome name of 67P/Churyumov–Gerasimenko. 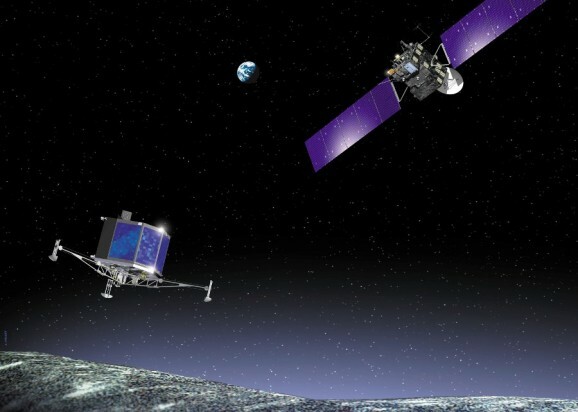 The journey has been a long one; Rosetta started its pursuit of the comet back in 2004. You know what they say about perseverance — apparently, that’s the way to catch a comet. Since then, it’s traveled over six billion kilometers, circled the sun five times, and gotten three essential gravity boosts to put it on the right orbital path. So, are we there yet? Not quite. 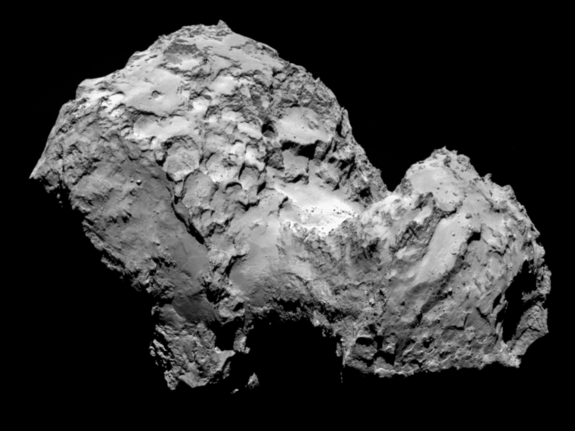 Rosetta has fewer than 300 miles to go, and on August 6, the long wait will be over. 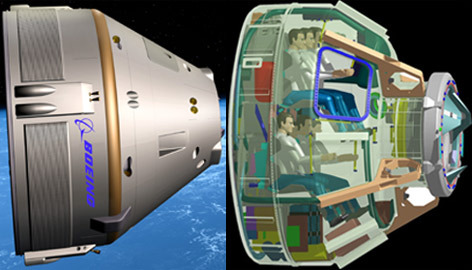 Among other things, that means space enthusiasts have only two more days to enter the “are we there yet?” competition.